Here are some new games we have been playing during our small group time. These materials will also be introduced into our Literacy Work Stations after the children have had a chance to use them. This is a word family game/rhyming game. The children have two bee hives at the same time and say each word aloud (from the cards) and then match it with the appropriate bee hive. These are from the Mailbox magazine site (2006 I think). They were some online extra materials I was able to print. 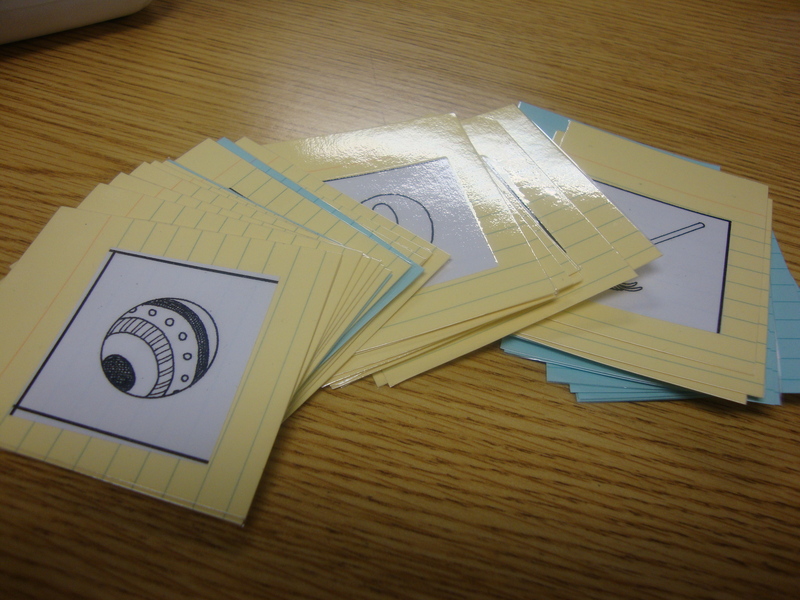 In this game, the children can use the cards to find words that match, words that start with the same letter/sound, or words that end with the same sound. We made two sets of these cards, one has the name of the object in the picture written on them and the other set is pictured above. 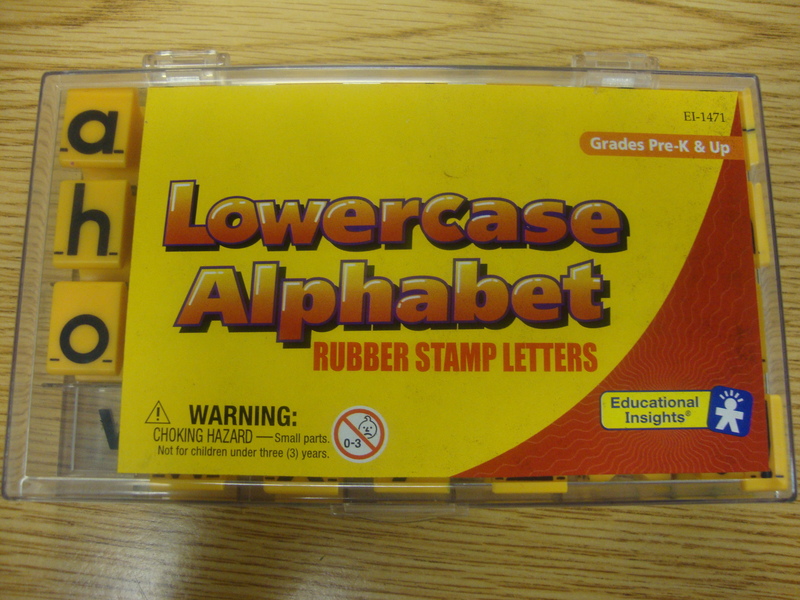 The cards (the white part) came from the Phonemic Awareness book listed below and I glued them on 1/2 of an index card and laminated. 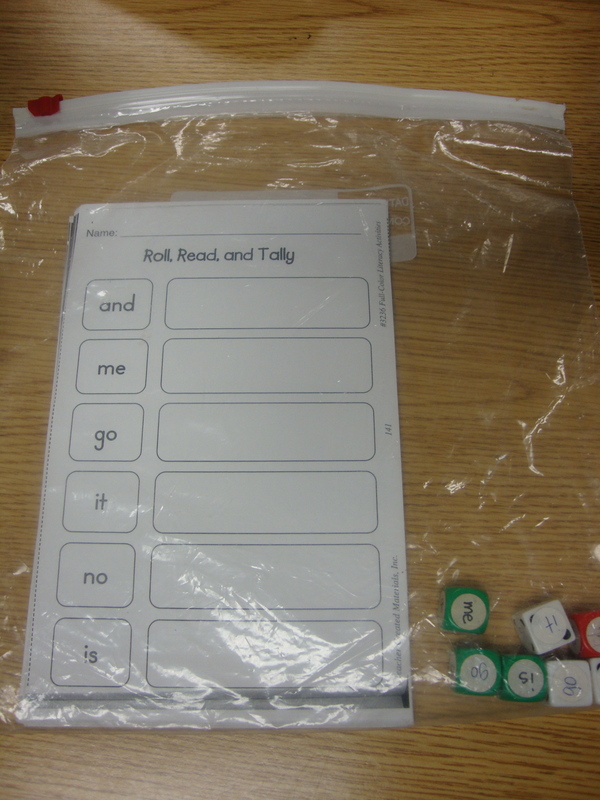 These games are pre-made from a book titled, “Full Color Literacy Activities-Sight words and Rhyming Words“. I like these activites because they are simple to create, easy for the children to complete and also include a review of many math skills (tally marks and graphing). There are many to choose from in this book and these are just a few samples along with a picture showing how I store them. These are also being introduced in small groups and then will be put into Work Stations for the entire class to use. 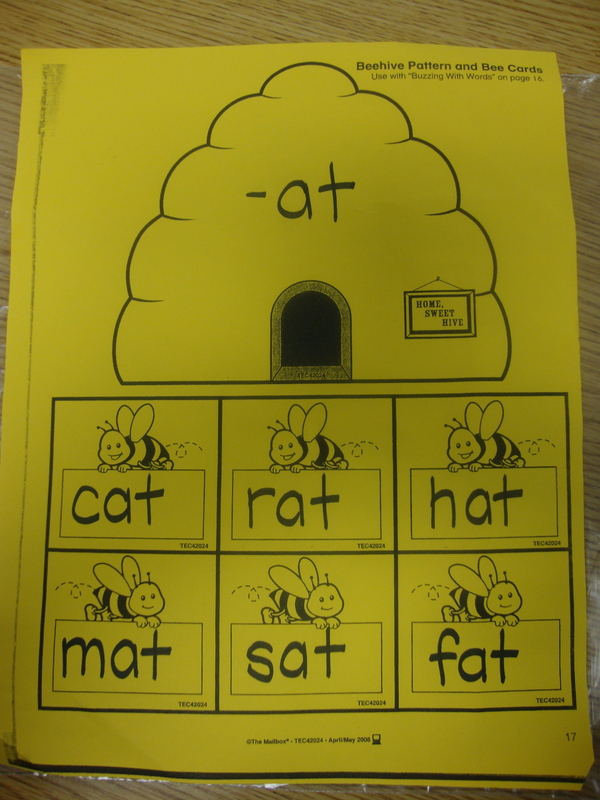 This is a game from “Phonemic Awareness Activities“. The children take turns rolling the supplied paper die and moving among the pictures to help get the mouse to the house. Each time they land on a picture they need to supply a rhyming word. 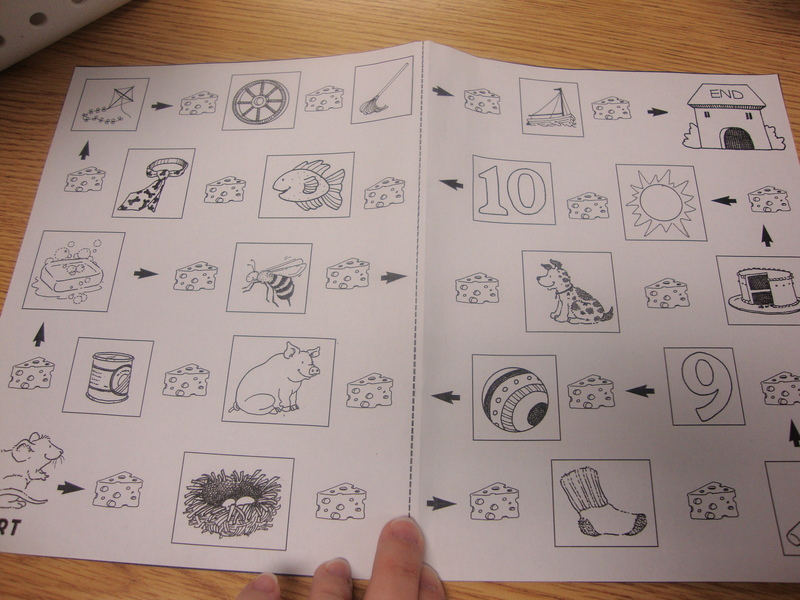 It could also be used to help children review beginning and ending sounds instead of rhyming words. 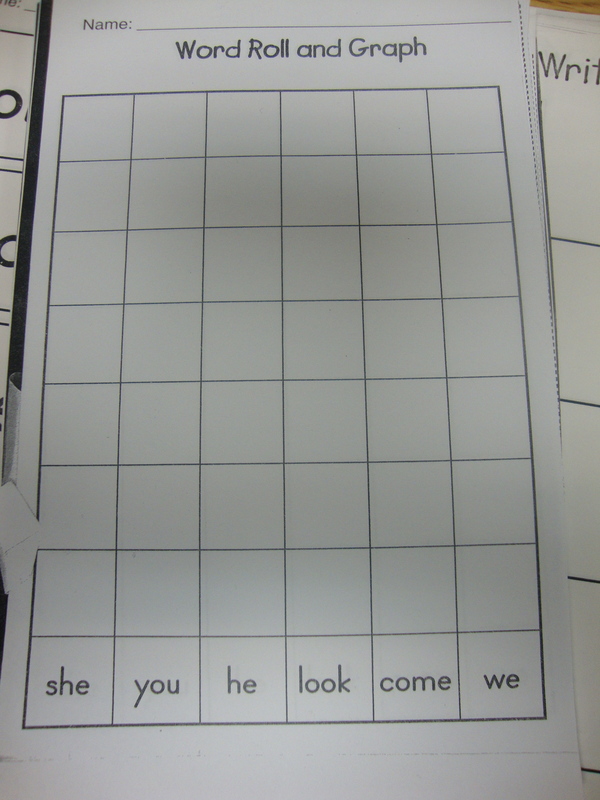 This game helps children to review sight words. 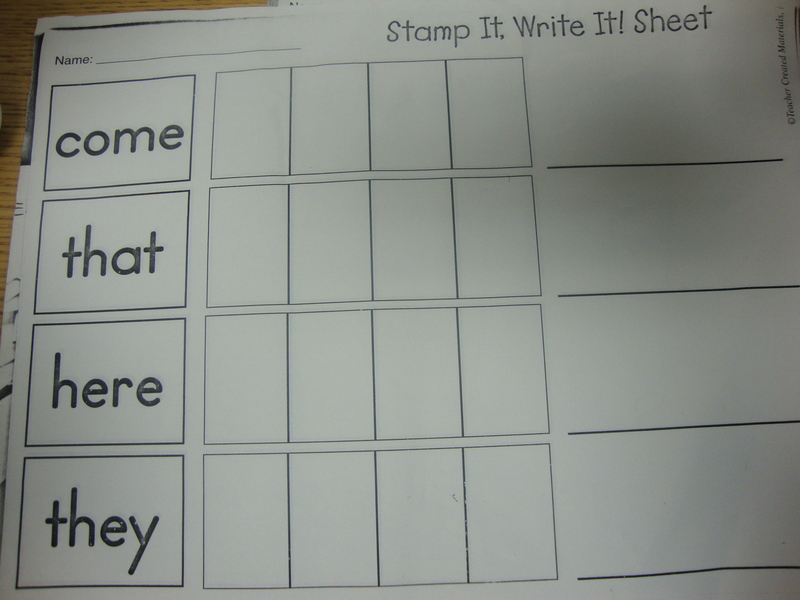 The children read the word, stamp the letters in the box (using the stamps shown below) and then write the word on the line. 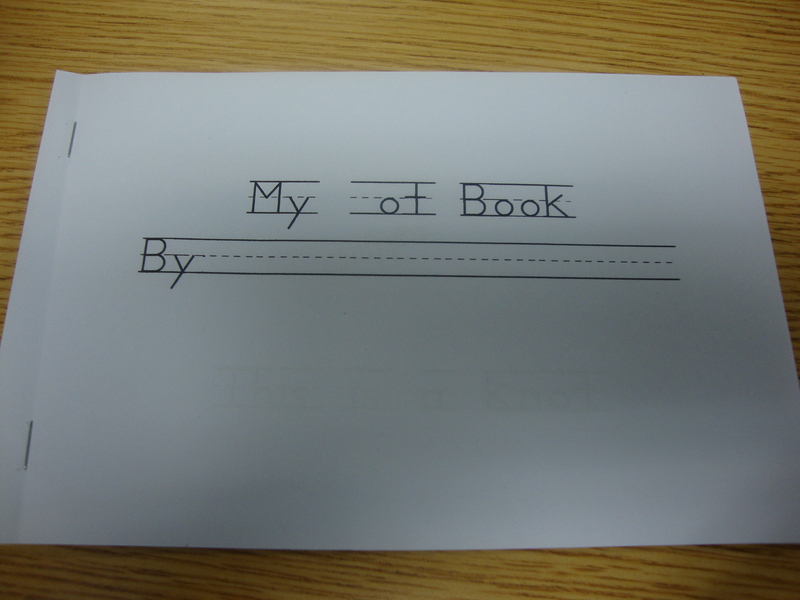 Another idea I am trying is these word family books. I write some simple sentences on the bottom of each page: This is a cot, This is hot, This is stop, etc. The children illustrate the pictures that go with them. 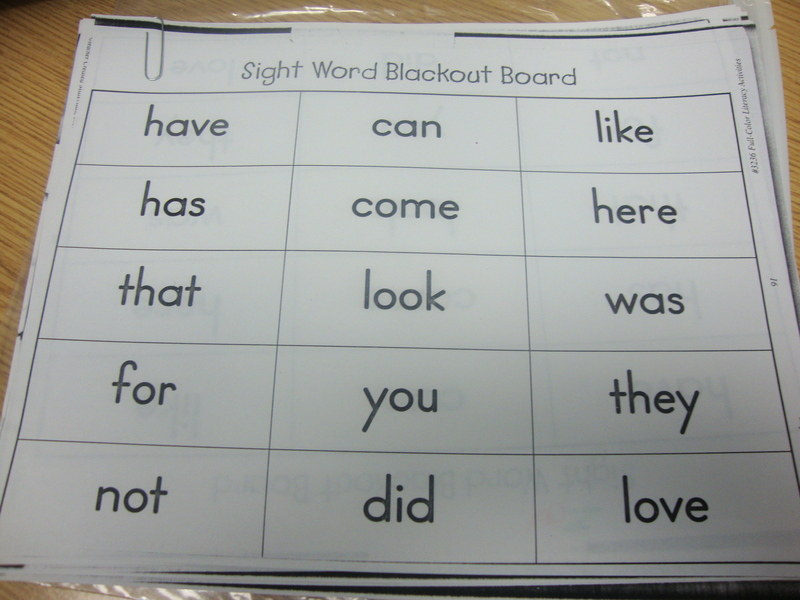 This is Sight Word Blackout (also from the Full Color book). It’s like BINGO and the children say, “Blackout!” when they have covered all their words. You could white out words that you do not learn and write in your own words. You could also set this up in a Word document using a Business Card layout. 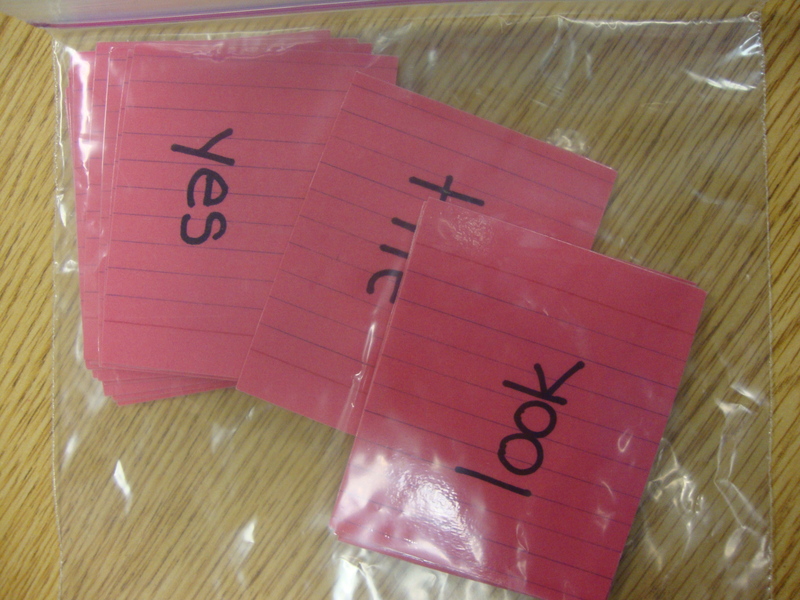 This is another index card game I made to help the children learn their sight words (aka Rainbow Words). I wrote the same word on each half of the index card (3 x 5 size) and then cut them in half and laminated. The children have two sets of them– I labeled one set with a “1” in the top corner and the other with a “2”. The children can play with the cards in one set and not worry about getting them mixed up with the cards in set 2. 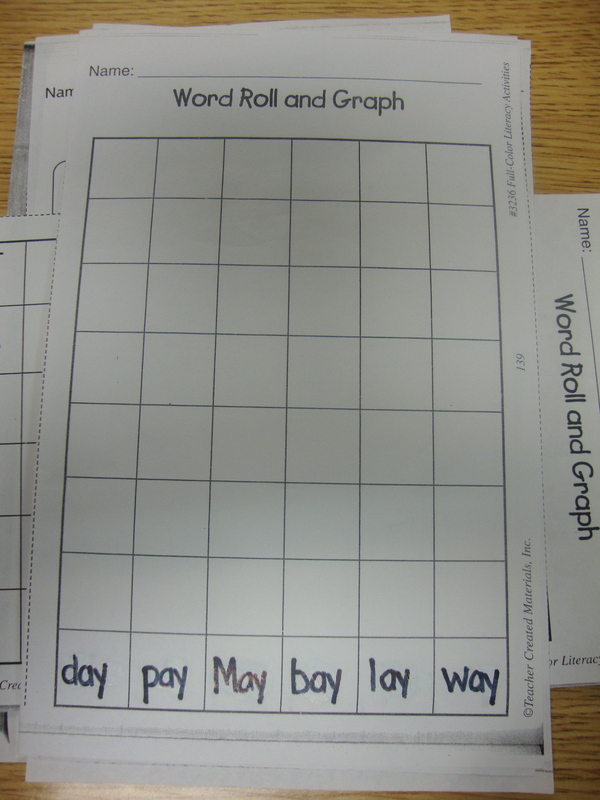 Posted on April 9, 2011, in Literacy Work Stations, Small Group Activities. Bookmark the permalink. 3 Comments. I’m sorry, I don’t. They are all copied from the places listed above and I cannot give them out due to copyright laws.